One way to avoid some of the traffic and find a place to stay is to go during the week, not the weekend. Another, is to go early or late in October instead of the middle weeks. 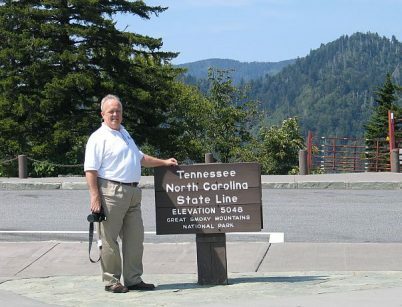 To help you on your way here are some sites to check for color and a couple of color drives to take. Weather fall foliage is at weather maps. 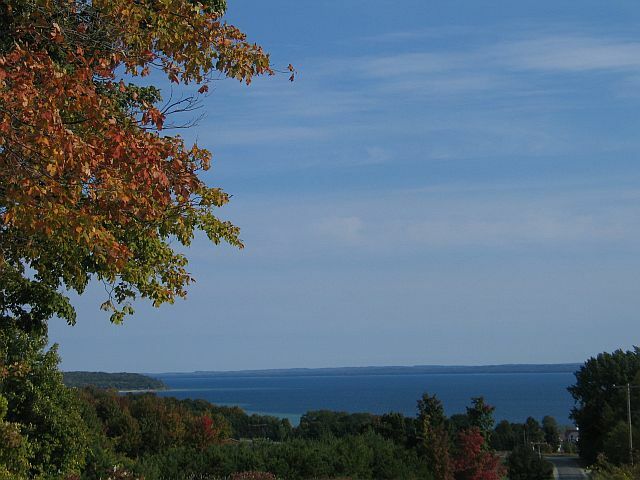 Called TC by residents and frequent vacationers to the Grand Traverse Bay area, Traverse City is known as the Cherry Capital in spring and summer. So if you go up there pick up some chocolate covered ones or the preserves. However, in fall go for the color, the apples and the wine. Michigan, and particularly the Traverse City area, is known for all three. 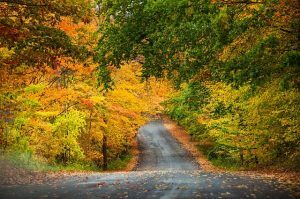 All the drives around TC are spectacular as you motor north from the city up the Old Mission and Leelanau Peninsulas because much of that area has OMG hill top views of Traverse Bay’s bright blue water. But this is also an area of wonderful drives west through forested areas across the Leelanau Peninsula over to Lake Michigan and its Sleeping Bear Dunes National Lakeshore. 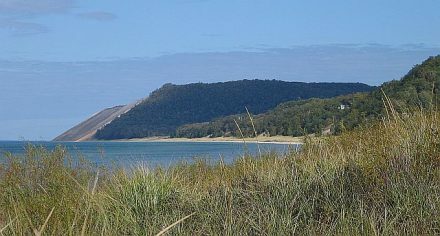 Among the National Lakeshore routes is the Pierce Stocking Scenic Drive. 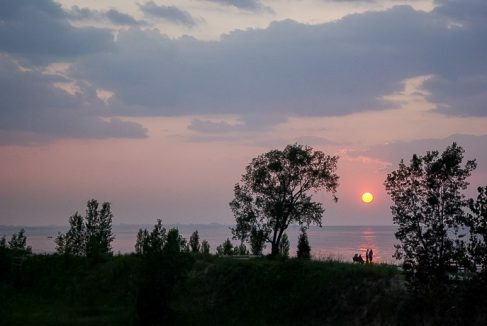 A great place to stay in the middle of the National Lakeshore is The Homestead, a full service resort with wonderful views and a great location. If thinking of staying on the Leelanau Peninsula check out Black Star Farms. Its rooms fill quickly with return guests so try to decide early. Basically a B&B style inn with gourmet breakfasts and a glass of wine to welcome guests, the place is nicely located to drive north to shop and eat in Suttons Bay, explore Northport further up and the lighthouse up at the point. Black Star Farms also has its own wine and is near several other wineries. Go west from Suttons Bay to the cute town of Leland and its historic Fishtown. The Leelanau Peninsual has several excellent wineries so take the wine trail there. Pause to look across the vineyards towards the bay to snap a photo. 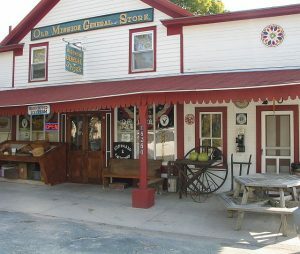 Over on the Old Mission Peninsula, two fun places to stop while doing wine tastings there is the old General Store and the lighthouse. Be sure to have the camera or cell phone ready because, well, just go, you’ll see. Some of the wineries on Old Mission have accommodations but there are several good adult lodging choices in TC Including the Wellington Inn B&B and the Park Place Hotel. Families might like the Sugar Beach Resort Hotel because it has an indoor pool, game room and comp’d breakfast. 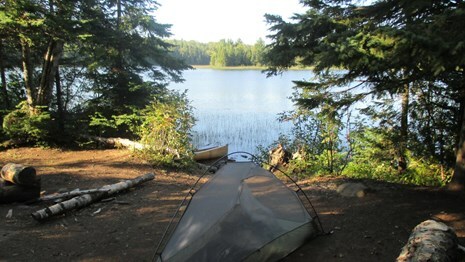 But the TC area has enough different type accommodations to suit every budget and lifestyle. Same is true for restaurants because the area is a year-round destination. Start planning now for your fall getaway. Have fun!